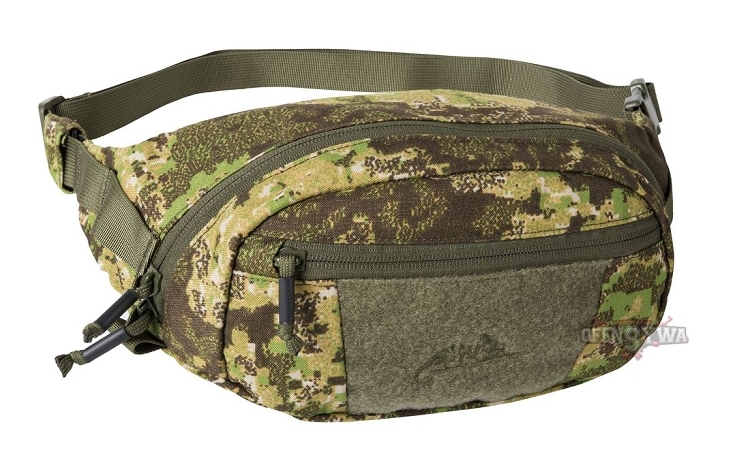 Medium sized waist pack from our "marsupial" line offers a number of unique features in a smooth, low-profile package. 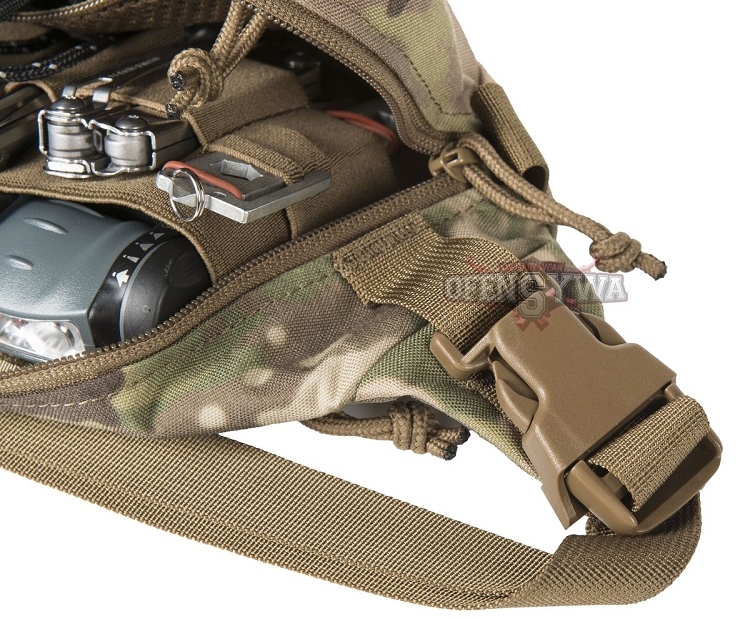 User can choose buckle placement, stow away bag's belt strap, remove or replace internal Velcro insert customizing it for different applications. 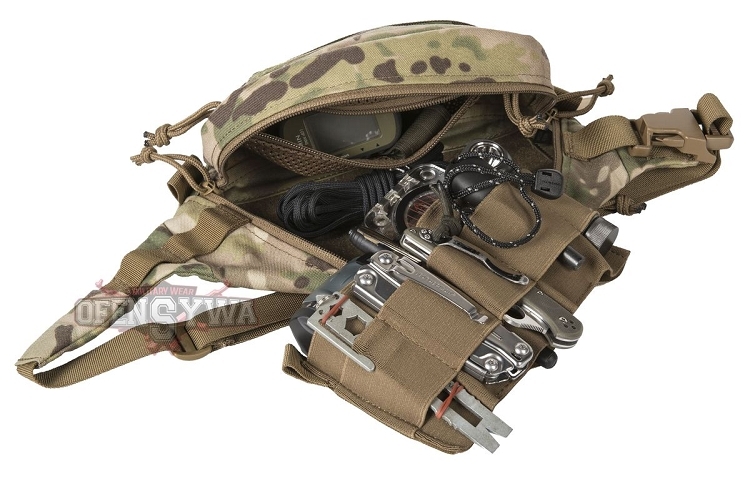 Four pocket design is large enough to fit personal items along with basic medical supplies or a windshirt jacket. 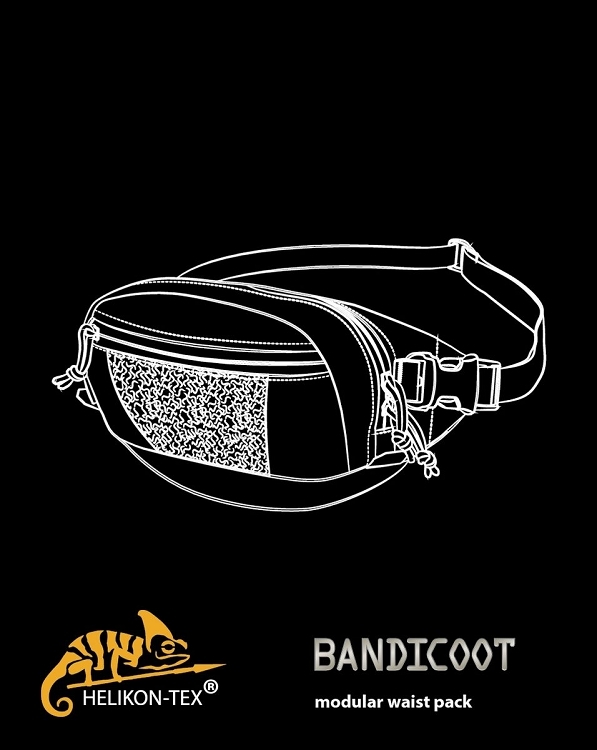 Bandicoot's side wings allow attachment of PALS/MOLLE pouches or other accessories.